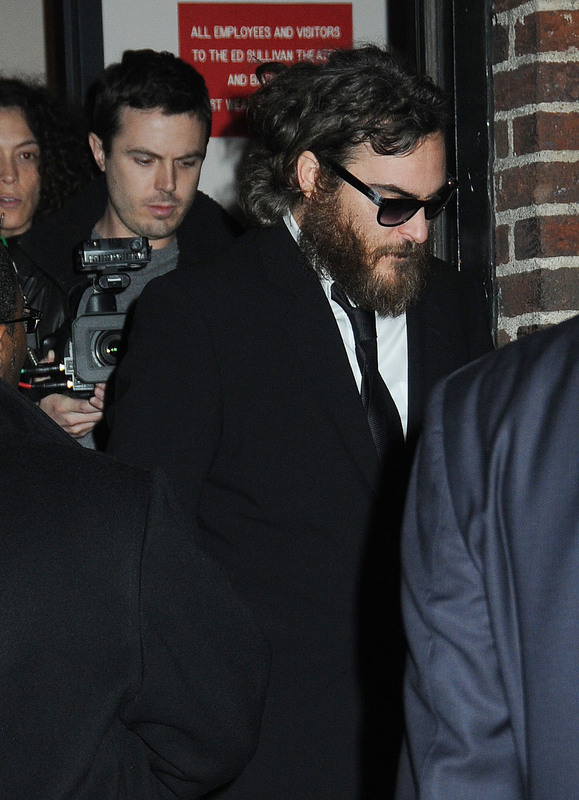 Joaquin Phoenix is pictured after his infamous appearance on David Letterman. 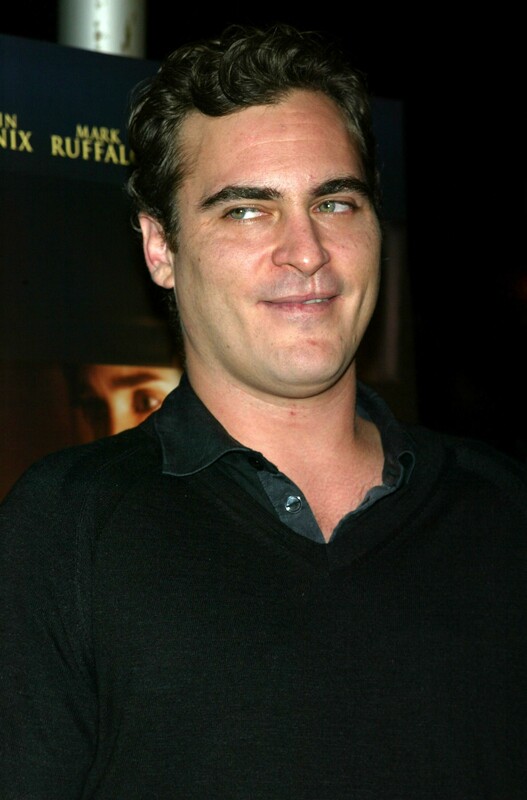 Joaquin Phoenix has on sunglasses. 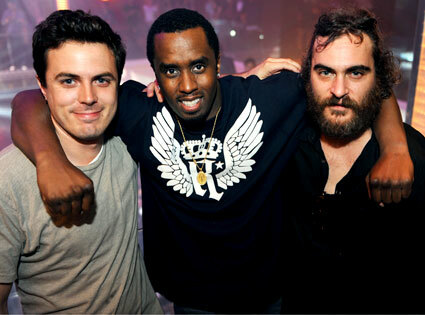 Casey Affleck has on a gray hoodie. They are at an event honoring Paul Newman. Joaquin Phoenix is carrying a rolled piece of paper as he stands next to Casey Affleck at Davies Symphony Hall. 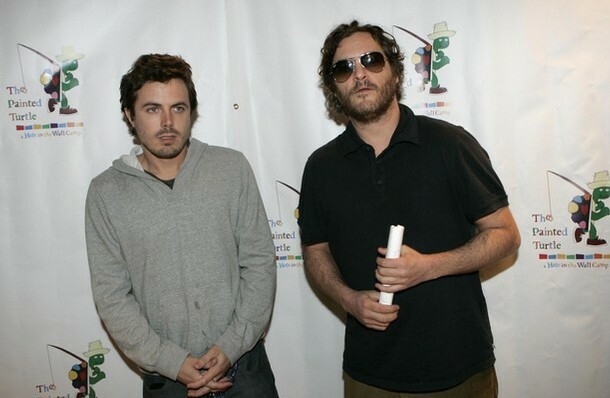 Casey Affleck in a gray sweater is standing next to Joaquin Phoenix. They are in San Francisco paying tribute to Paul Newman. The World Of Nick Adams was a Paul Newman tribute attended by Joaquin Phoenix and Casey Affleck. 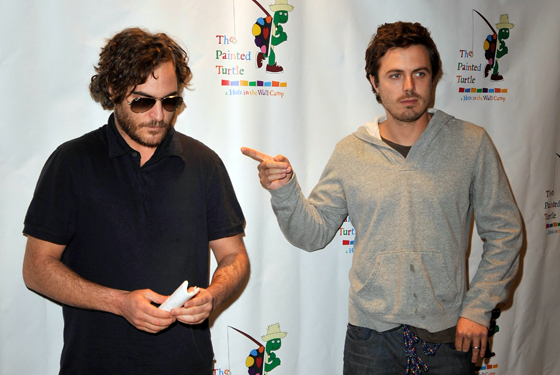 Casey Affleck points to Joaquin Phoenix, who is looking down. They are remembering Paul Newman at Davis Symphony Hall. 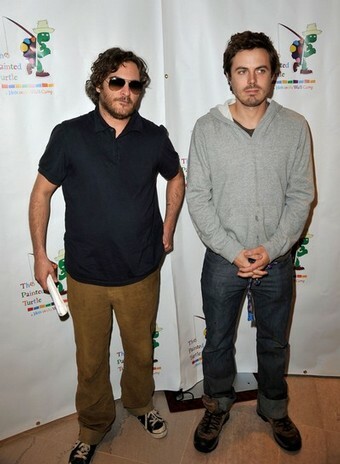 Casey Affleck scratches his arm while standing next to Joaquin Phoenix at The World of Nick Adams in San Francisco. 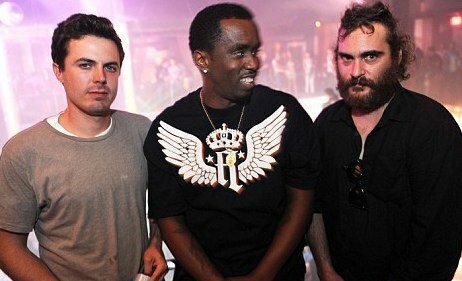 A dirty looking Joaquin Phoenix stands next to Puff Daddy and brother-in-law Casey Affleck at a pre-New Year’s Eve party. 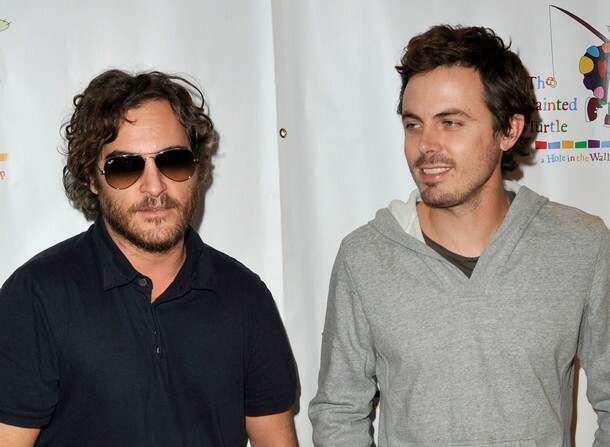 Casey Affleck is shooting a documentary on Joaquin Phoenix. Here he is filming Phoenix on a coach. 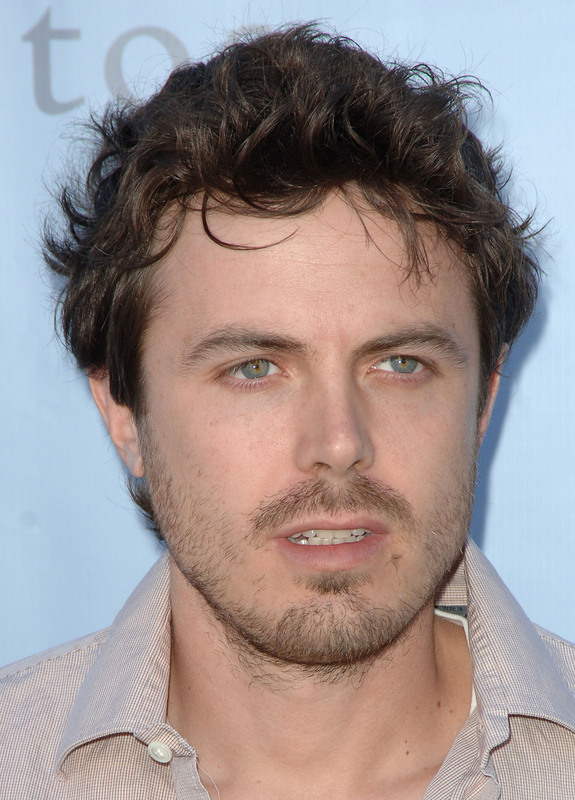 Casey Affleck is pictured with messy hair and a goatee. 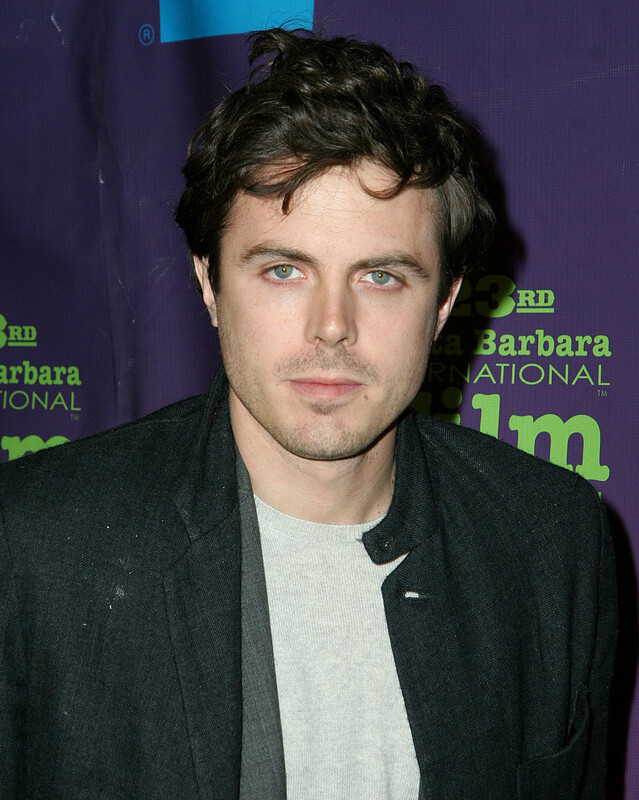 A neatly dressed Casey Affleck attends the National Board of Review Awards in 2007. 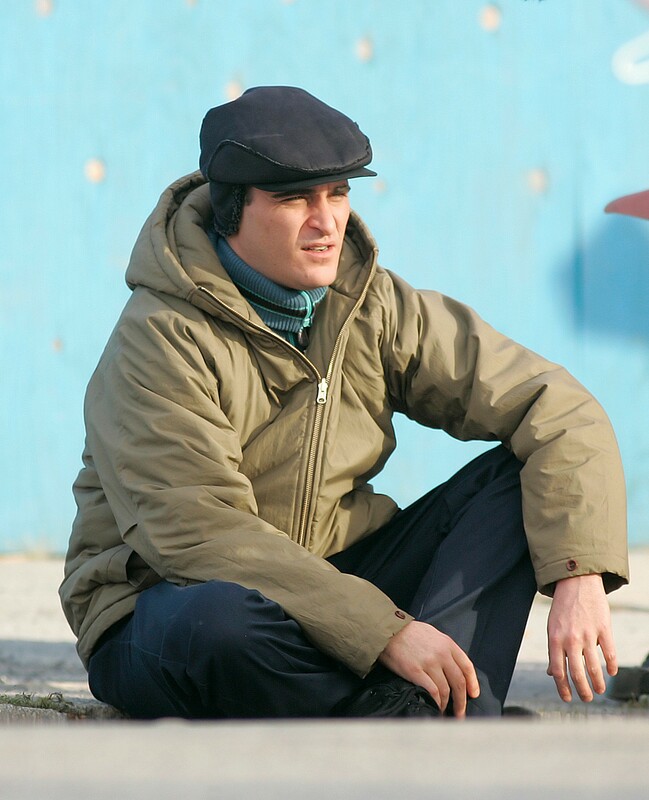 Joaquin Phoenix, wearing a beige coat, sits on the ground. Before the beard, Joaquin Phoenix looks dapper at the London Film Festival. 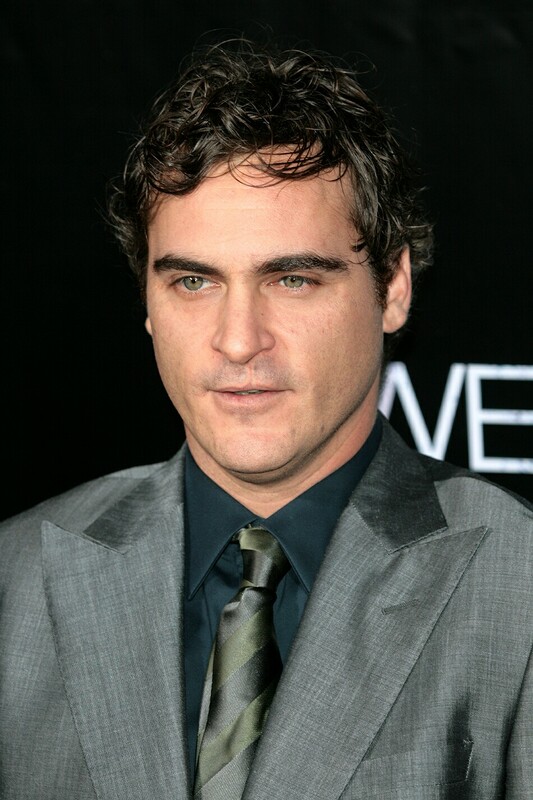 Joaquin Phoenix has on a grey suit, blue shirt and metallic tie. 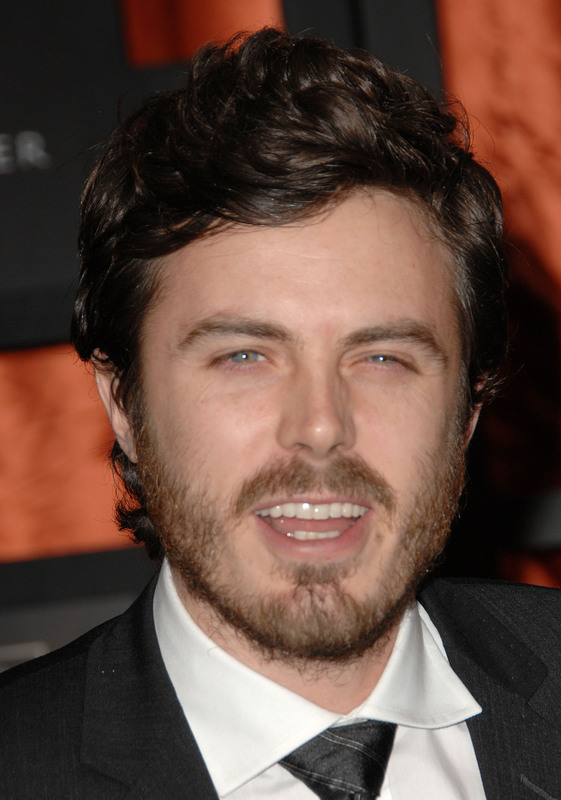 Casey Affleck is wearing a jacket and tie and a full beard. 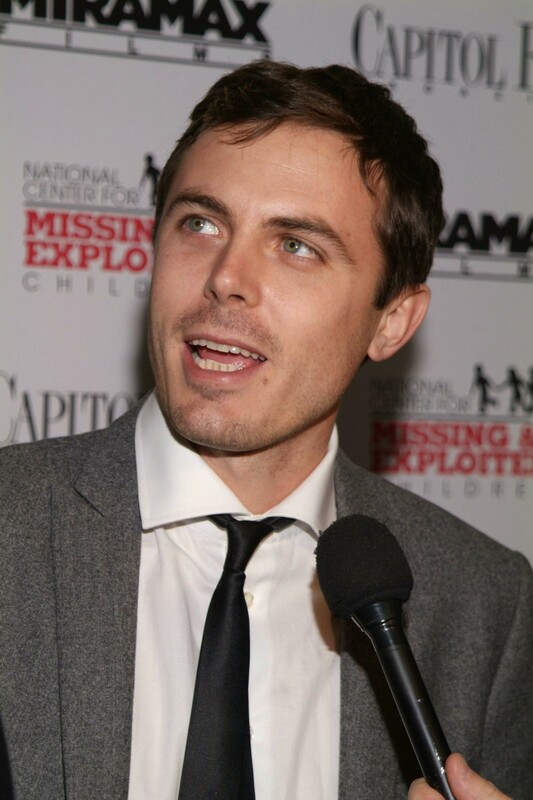 A fresh and clean Casey Affleck is pictured wearing a white shirt and dark jacket. 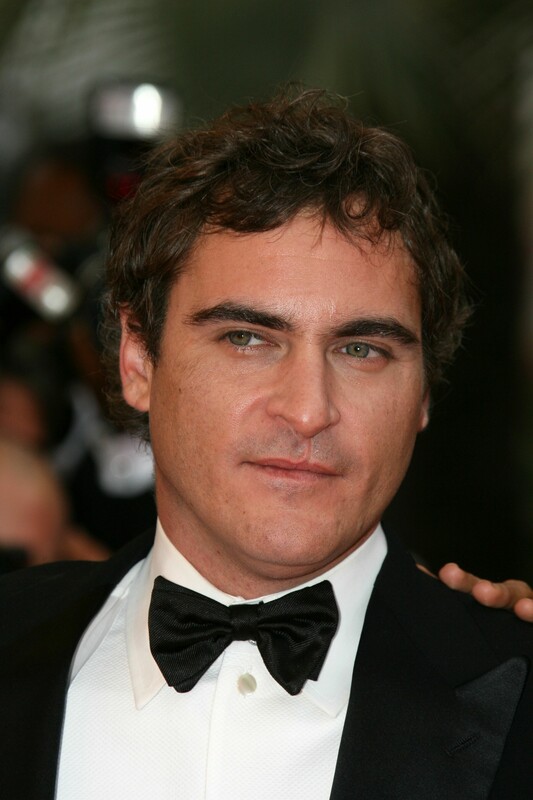 Joaquin Phoenix is seen here wearing a bowtie with a tuxedo. 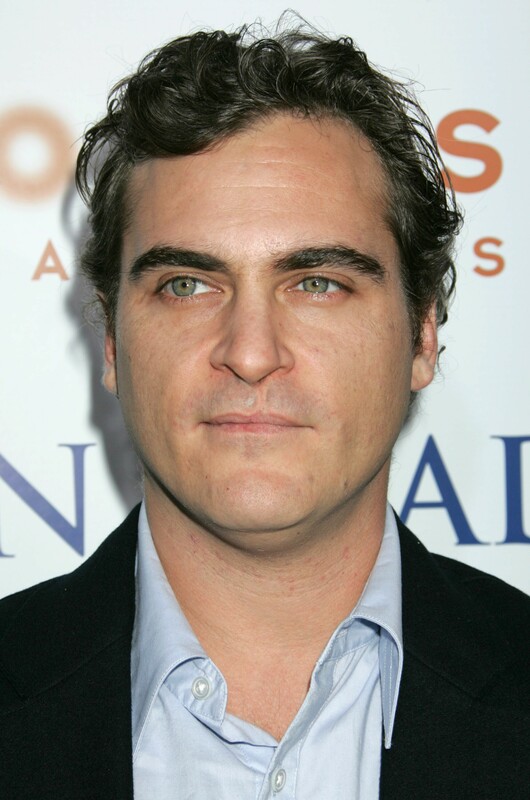 Joaquin Phoenix appears to be happy as he wears a light colored shirt and sunglasses. 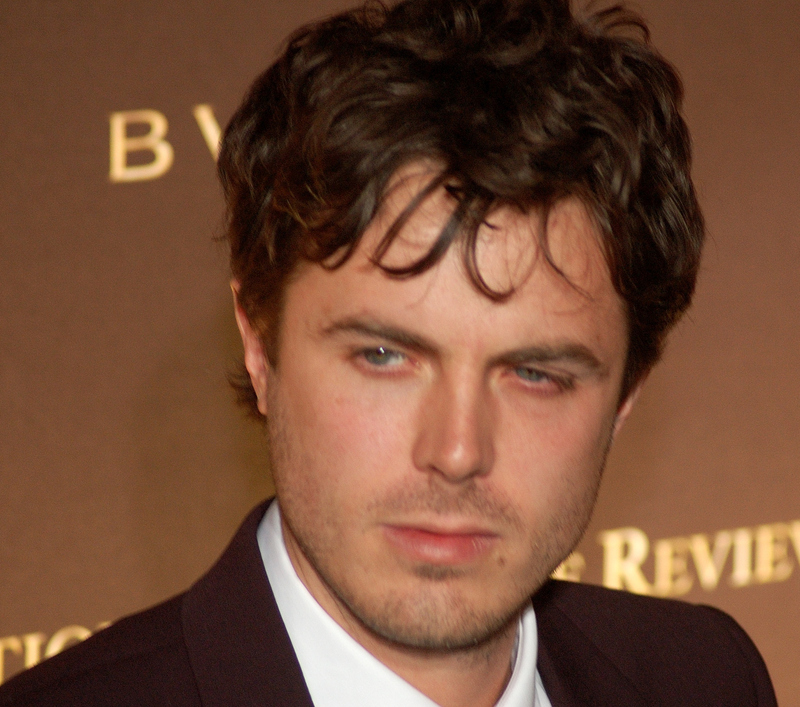 Casey Affleck stands in front of a microphone at the premiere for The Assassination of Jesse James. 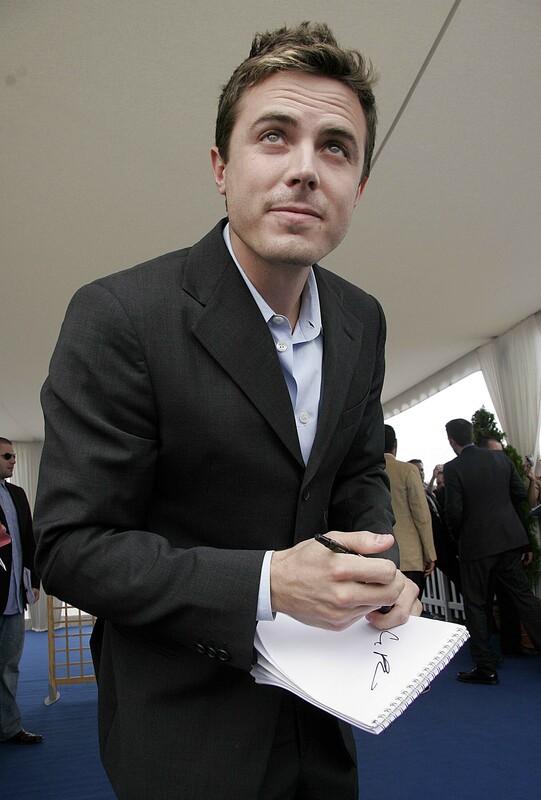 Casey Affleck with a pen and paper in his hand as he signs autographs for fans. 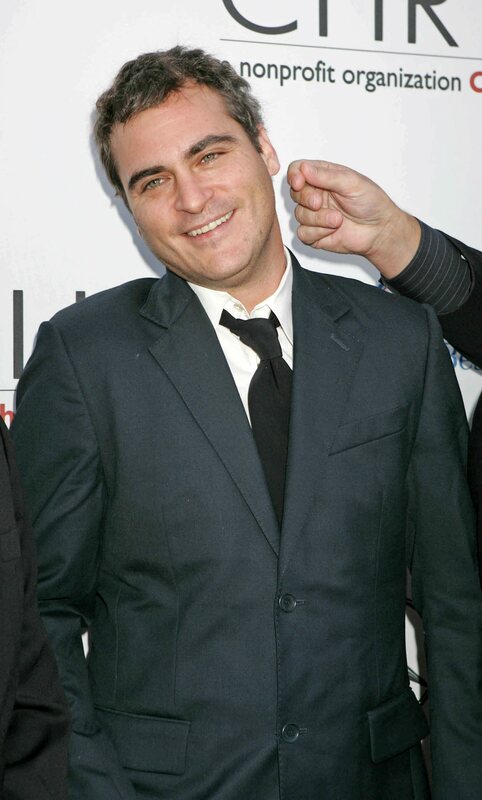 Joaquin Phoenix tilts his head to the side to avoid someone pinching his ear while at a nonprofit organization event. 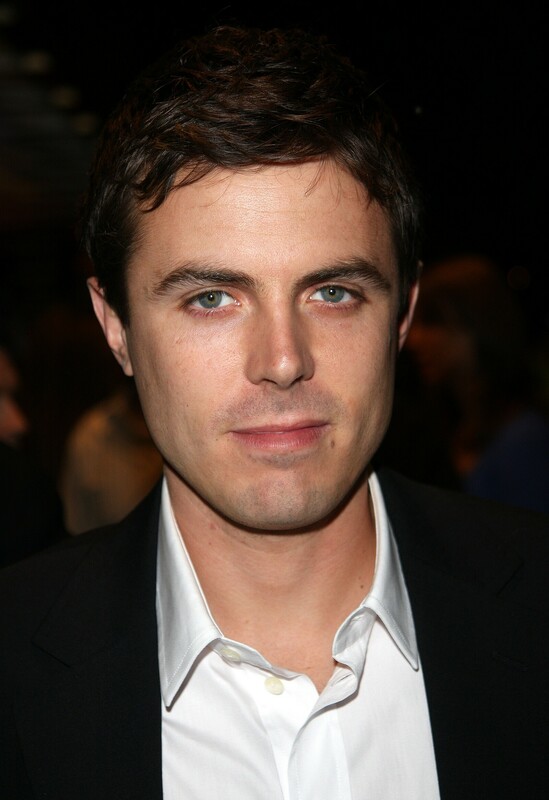 Casey Affleck is seen with blond hair as he wears a dark suit at the Ocean’s Thirteen premiere.